Even though, they are considered rare, I have come across more squirrels displayed on gravestones, since I first wrote about the image as a funerary symbol. The carving in the photo above is found in a rural cemetery in Greene County, Indiana. 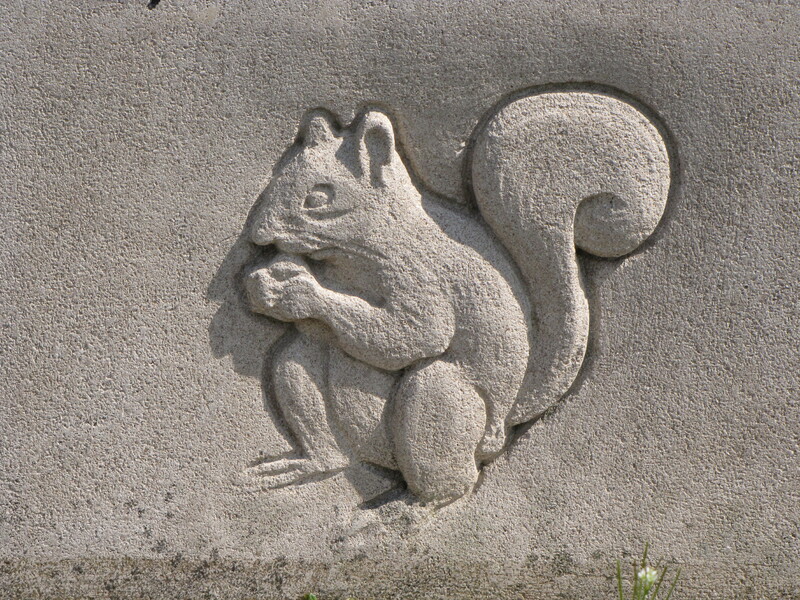 The squirrel is a delicately-carved, shallow bas-relief on a limestone marker. Some sources say that if the squirrel is holding a nut, it is a sign of religious meditation and spirtual striving. Clearly this little squirrel is in that prayerful position.